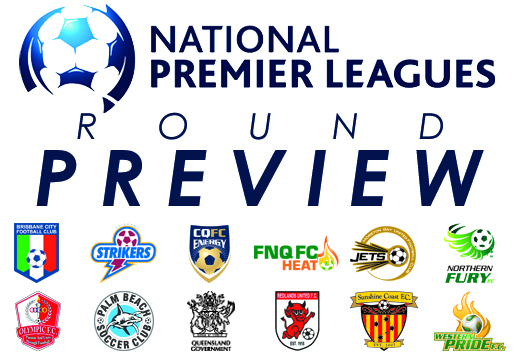 The National Premier Leagues action continues this weekend with Round 9 featuring another set of exciting match-ups across the length of the Sunshine State. Stay up to date with all the fixtures in the weekly preview. Palm Beach Sharks and Brisbane Strikers meet for the first time in a competitive fixture since 2007 on Saturday evening when they clash at Mallawa Sports Complex on the Gold Coast. Both sides will be looking to bounce back following disappointing defeats last weekend - Sharks falling 4-2 at Brisbane City, while Strikers were humbled at their Perry Park home by Queensland Academy of Sport. The 2-1 defeat to Academy was only Strikers second loss of the season and comes as the side adapts to life without injured star striker Matt Thurtell. Meanwhile, Palm Beach have made a habit of dropping points this season, conceding three goals and sacrificing a hard-earned lead in the final ten minutes against City. The loss was the fourth in 15 days for the Sharks, and has precipitated the mid-week resignation of highly respected head coach Oscar Langone, who departs the club on good terms. The Sharks will be guided by Under-20’s coach Grae Piddock this weekend with the assistance of Technical Director Gary French, with the playing group instructed that they now have a chance to prove themselves as the club seeks a return to winning ways. One player who has already proved his worth is mid-season acquisition Jarrod Kyle, the former Sheffield Wednesday youth player scoring in each of his first three appearances for the club. Moreton Bay Jets are seeking to become the first team to halt the Olympic FC juggernaut when they welcome the league leaders to Wolter Park on Saturday evening. Olympic are undefeated so far this season with seven wins and a draw from their opening fixtures and boast a league best goal difference of 27 goals – an average winning margin of more than three goals. However, while last weekend’s 5-3 win over Northern Fury confirmed the potency of the Olympic attack, question marks still surround the sureness of their defensive line. Curiously, after eight rounds, Moreton Bay Jets remain somewhat of an unknown quantity. Injuries have ravaged Terry Kirkham’s squad, yet the Jets head coach remains unafraid of taking hard decisions – culling several players from his squad in past weeks. Last round’s 2-1 result against CQFC on a bumpy Rugby Park pitch suggests Kirkham is closer to finding a playing group able to meet his lofty ambitions, with Michael McEvoy finding his goal-scoring touch to net a brace in the win. Northern Fury return to Townsville Sports Reserve on Saturday night as they attempt to rediscover the winning form that saw them surge into the NPL top four earlier this season. The Fury remain unbeaten at home and will be buoyed by an encouraging performance away to Olympic last weekend, where they scored the opening goal and saw a second denied by the post before a horror 30 minute spell saw Gareth Edd’s side concede an unflattering five goals. The North Queenslanders will need to avoid a repeat against Redlands United, who boast one of the league’s most multi-faceted and dangerous attacks. The second-placed Devils did it the hard way last weekend against fellow finals contender Sunshine Coast Fire, overturning a two goal half-time deficit to share the points in a 3-all draw. Jheison Macuace again drew plaudits after netting a quick fire brace; however, with defender and captain Michael Lee again sidelined with injury, Redlands may prove susceptible at the back against Fury’s fleet-footed forwards. Ipswich’s Western Pride play host to Rockhampton’s Central Queensland FC on Saturday night in the feature match of Round 9 of the National Premier Leagues at Eric Evans Reserve. Both sides have taken time to settle against more established clubs in the early rounds, however with the season now nearly a third of the way complete, supporters of both sides will soon expect more competitive performances. Lately Western Pride has done just that, demonstrating marked improvement in recent rounds before recording their second win of the campaign against FNQ FC last weekend, turning in an impressive 3-0 performance at home. Pride will be looking to follow it up this weekend against a CQFC outfit that sits bottom of the NPL ladder and has now shipped a hefty 48 goals – an unflattering average of six per game. Impressively for the league’s bottom place team, striker Chris Geddes is averaging better than a goal a game and his return of ten goals places him third amongst the league’s golden boot contenders. Also assisting CQFC is the return of regular goalkeeper Tim English, who sat out last round after suffering a concussion in the previous weekend’s heavy loss to Olympic. Brisbane City are seeking to enter the NPL top four for the first time this season when they face Sunshine Coast Fire in Sunday afternoon’s early kick-off. City have snuck under the radar after a slow start to their campaign, however the Newmarket-based club has now won their past five matches to sit one point behind the fourth-placed Fire with a game in hand. In form striker Antonio Murray continues to impress at the top of the City formation, the league’s leading goal scorer netting a hat-trick last weekend against Palm Beach Sharks. Sunshine Coast Fire will be eager to claim all three points for themselves after letting slip a two-goal half time advantage at Redlands last weekend. Fire arguably should have put that game to bed after a dominant first half display and head coach Kevin Aherne-Evans is eager to avoid a repeat against a City side that have recorded come from behind wins in two of their past three outings. Fire’s cause however will be hindered by the absence of in-form Leon Dwyer, who scored in each of Fire’s three prior fixtures, and James Stinson, who departs for a series of trials in the United Kingdom. Queensland Academy of Sport play their first fixture of the season at Logan’s Meakin Park on Sunday afternoon against Far North Queensland FC Heat in the closing match of Round 9 of the National Premier Leagues. The Academy recorded their first win of the campaign last weekend in an impressive display against finals contenders Brisbane Strikers, and will be looking to build momentum against the up-and-down Heat. QAS coach Josh McCloughan admitted post game that inconsistency is par for the course when coaching youth players, however will be encouraged by his side’s recent performances which have seen the youngsters ably demonstrate why they are considered the state’s elite youth side. 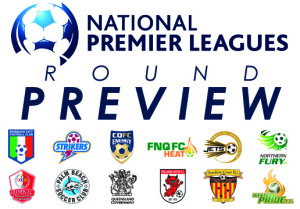 For FNQ FC the match-up is their third straight away fixture, and, with a win and a loss in previous rounds, the club will be hoping to end their south-east sojourn on a winning note. It has been a difficult season for the Cairns-based side, with off-field events distracting from encouraging performances on the pitch. However, with the raw and precocious talent of Jamie Carroll, Justin Sabaddin and Murphy brothers Tom and Matt, at their disposal, the Far North Queenslanders have the attacking weaponry required to get the win.